A Transport Scotland consultation has seen overwhelming support from businesses and the public over future implementation of Low Emission Zones. The Scottish Government has committed to introduce LEZs into Scotland’s four biggest cities between 2018 and 2020, starting with Glasgow. Held from 6 September to 28 November 2017, the consultation saw around 95% of the 967 respondents back plans for Low Emission Zones. 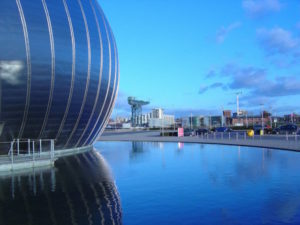 The Scottish Government has already announced that LEZs will start first in Glasgow with a scheme due in place by the end of this year initially focusing on buses, followed by a further three zones in other cities by 2020 and into all other Air Quality Management Areas by 2023. The views provided in the consultation showed some 62.3% of respondents agreed with the proposed minimum mandatory Euro emission criteria for Scottish LEZs, which are Euro 6 for diesel cars, Euro 4 for petrol cars and Euro 6 for buses. Some 82.7% of respondents considered that emergency vehicles should be exempt. The majority of respondents, 86.3% agreed that LEZ exemptions should be consistent across all Scottish local authorities. The most popular suggestion was for LEZs to operate 24 hours, 7 days a week and 92% of respondents were in favour of using ANPR to enforce the schemes. Those who disagreed had privacy concerns with the use of ANPR. Around 51 out of the 80 organisations who responded indicated that they were in some way supportive of LEZ lead-in times and sunset periods. Of these, several noted that, as outlined in the consultation document, other UK and European LEZs have adopted a 4-year lead in time. Respondents were asked whether they supported the principle of adopting a road access restriction scheme for LEZs across different classes of vehicle. Views were very mixed with people both in favour and against the proposal. Respondents also noted that a road access restriction scheme would encourage behavioural change more than a charging scheme. The consultation also found support from respondents for complementary actions to help reduce vehicle usage, including alternative transport solutions, bus priority and public transport measures, encouraging active and sustainable travel particularly through improved walking and cycling routes. The full consultation responses document can be read here.